We will provide 1 coffee cup, 2 travel mugs, a license plate holder and a ball hat for the raffle/giveaway. We would be happy to provide the condiments listed above!!! "author preview copy (spiral bound, softcover, signed by Scott Hoag and Tony Alonso) of 'Engineer + Enthusiast = Excitement, Building the 2001 Bullitt and 2003/04 Mach 1 Mustangs' "
This is the exact same final content and cover of the book that was produced ahead of hardcover edition. Only 2 of these exist, and 1 of them is for this raffle. HELP NEEDED - I am looking for at least one Mach 1 owner to help us out by providing a car that would get moved from the Mach 1 section to the book sale booth area for Scott Hoag and me at Carlisle. We are staged near the Bullitt 50th anniversary area. 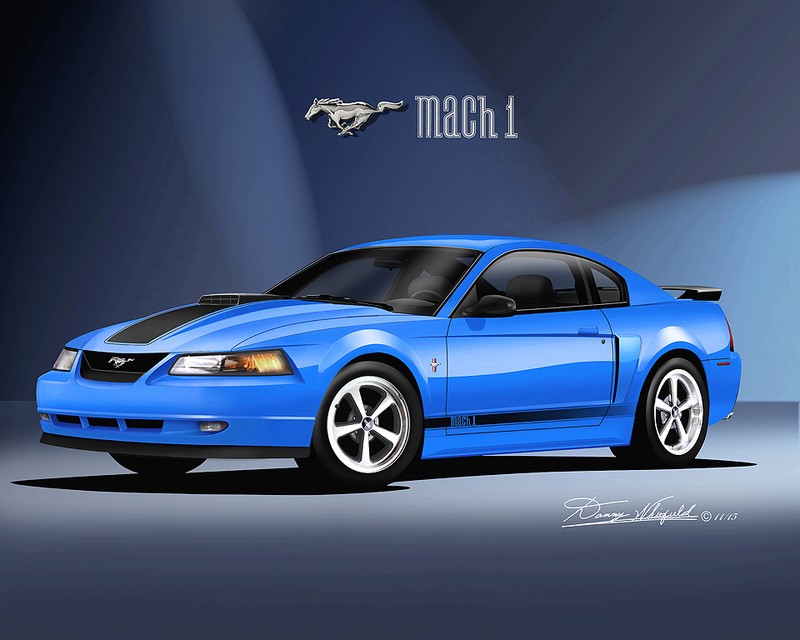 Would you post here or contact me by PM and let me know if you wouldn't mind displaying your Mach 1 in that way? Dave Wagner had agreed to help out, but I know he has other commitments on Friday in preparation for the Mach 1 Registry BBQ. I am looking for someone who doesn't mind having their vehicle out of the Mach 1 section and displayed during the show hours (Fri and Sat, 9-5; Sun 9-12) near the book booth. If there is another person interested, we could rotate cars and have a different one each day. Tony, Scott is going to be driving my Mach while he is here. We had talked about him using it for that exact purpose. Perfect - thank you! I wasn't aware of that. I was actually going to contact you to see if you wanted our Mach parked near your book tent. I'll have another vehicle at the show so that car could stay with you for the weekend. Between Brian and you, I think this will be great!! What ever you need and how ever it works out. Glad to help out. 1 - "author preview copy (spiral bound, softcover, signed by Scott Hoag and Tony Alonso) of 'Engineer + Enthusiast = Excitement, Building the 2001 Bullitt and 2003/04 Mach 1 Mustangs' " This is the exact same final content and cover of the book that was produced ahead of hardcover edition. Only 2 of these exist, and 1 of them is for this raffle. Last edited by HAEG; 06-03-2018 at 04:28 PM. So far we have two XL t-shirts and 2 metals signs for the raffle. Mom is being discharged from the hospital tomorrow afternoon. They believe the infections are gone and feel she is ready to come home. As long as she doesn't have another relapse, I should be good to do all functions. Debating on bringing Bear one night so he can socialize, just afraid it would be overload for him and we wouldn't be able to stay long if it is. For those that have not heard of Bear he is an all black 3yo German Shepherd we rescued in December. He spent his whole life on a farm as a stud. He was never taught anything and didn't interact with people. He is the sweetest most shy (none aggresive) shepherd I have ever met. His paws are huge which is why we renamed him Bear. Didn't care for his original name of Blackie. The last 5 months with him have taught me a lot especially when it come to not getting upset and finding new ways to get the results you're looking for when plans A-Z don't work. For those that met Gibbs last year, he is still here and as much a ham as ever. Bear and Gibbs having some fun. When we first brought Bear home, he hid in any corner he could find and literally had to be picked up to go outside. He was that scared. Glad to here of Mom's progress. Hope all is well. A week away! Can't wait to see everyone!! Travel Safe . I think we are looking at going to the AACA museum near Hershey Park. They finally have a Mustang display while we are at the show. Not sure what to do afterwards. The swap meet area is supposed to be open Thursday at the show field if anyone was looking for an early deal. Yep..same here. 2 cars washed and waxed, one to go. Brian,glad to hear moms doing much better and coming home,was touch n go for awhile with my mom this year as well. Have to still swap out and install a new carb on the Mach before Carlisle as the original is leaking more Fuel then I like onto the intake from the butterfly shaft. Got an exact Holley 735 re release Carb , so it should be fairly painless to set Up & tune. Fantastic dogs. We've always had atleast one at all times in our family. Nice job on the rescue. While over at Hershey AFTER AACA museum on Thurs, Might stop over the Trogues Brewery for some food and drink if anyone in interested.